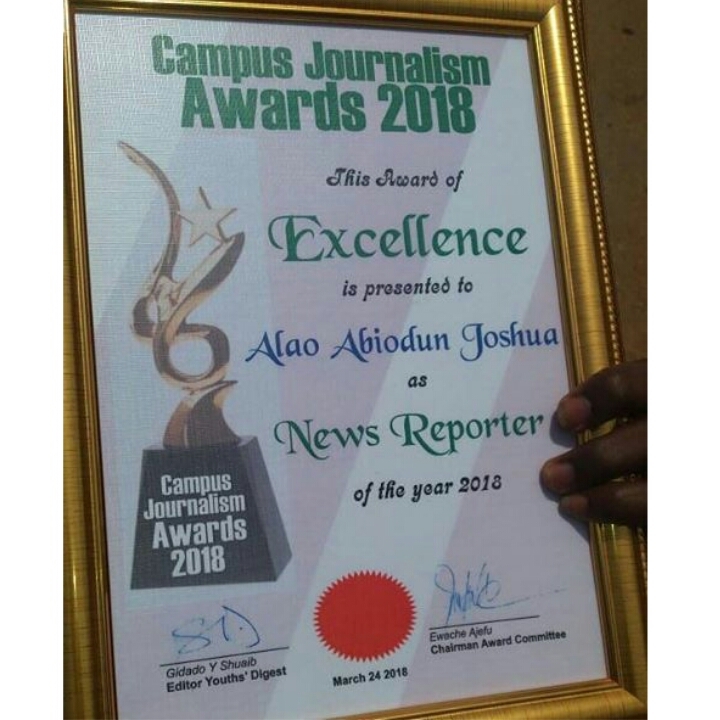 Campus Journalist, Alao Abiodun popularly known as JEGA has emerged as the winner of 'News Reporter Of The Year' at the recently concluded Campus Journalism Awards 2018. I want to express my sincere appreciation and doxology to the Editor Youths' Digest - Gidado Shuaib and the awards committee for recognizing me with the Campus Journalism Award as "News Reporter of year 2018" at the First Annual Campus Journalism Award, Abuja representing the University of Ìbàdàn. I am truly humbled and honored to receive it. 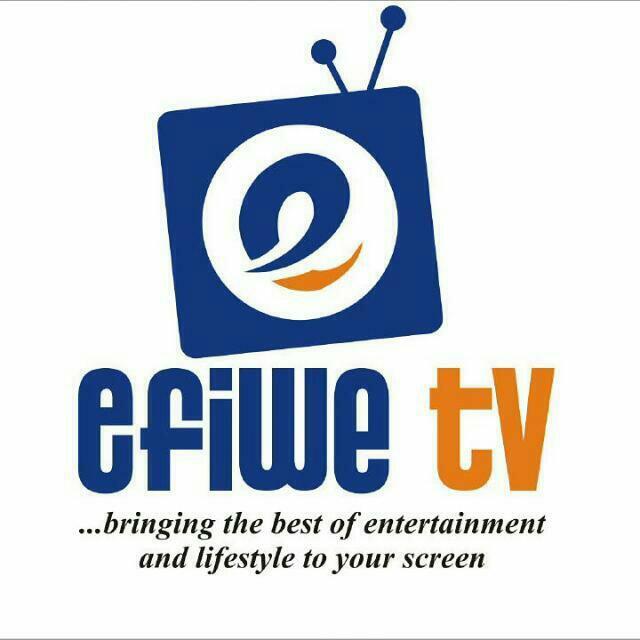 I'm very much grateful to God almighty for this Laurel, I am unable to find the appropriate words to properly express the immense feeling of gratitude to many that were instrumental and phenomenal to my success as a student journalist so far. I'm indeed glad, I will always be grateful for both direct and indirect mentoring from my wonderful mentors; the list is endless. 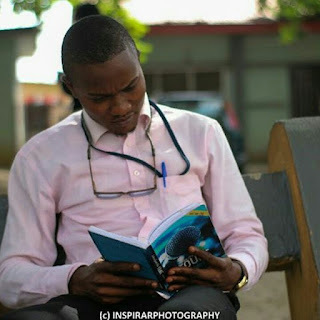 The entire journey as a student journalist was a learning experience for me and with the success so far; I am more energised and charged up to take up new and higher tasks which would push me further.